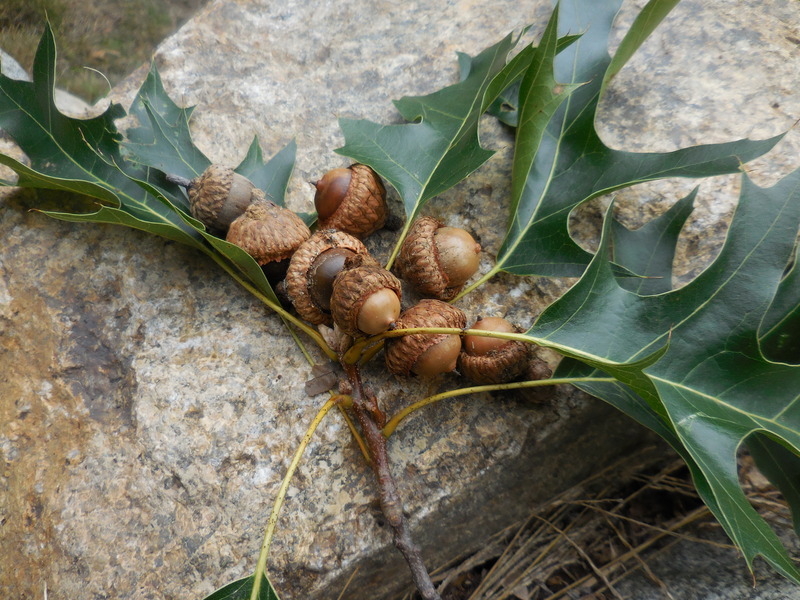 Fact: The yard is filled with acorns. Fact: The yard is filled with squirrels. 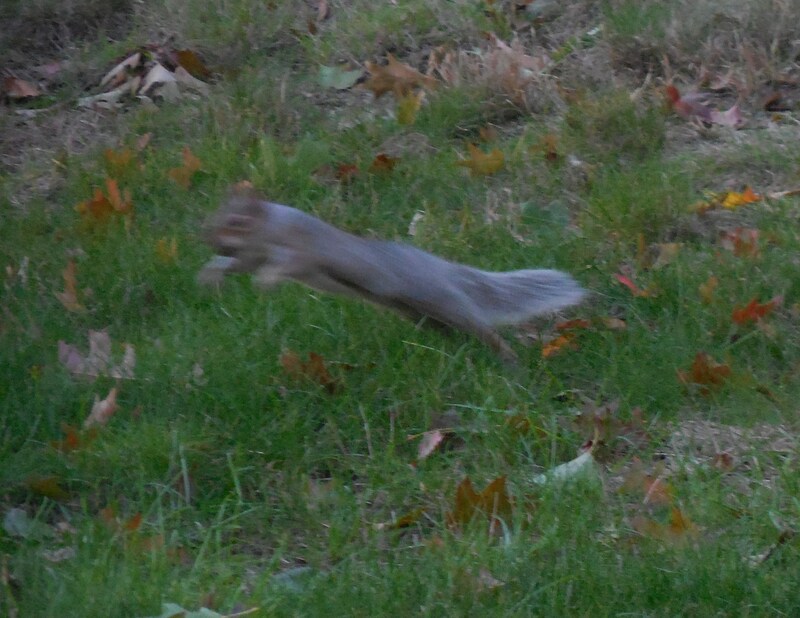 Fact: Squirrels exceed my shutter speed. In preparation for the launch of my picture book, When A Tree Grows from Sterling Children’s Books, I’ve been trying to capture some silly squirrel antics on camera. The squirrels must know. They taunt me. But these speedsters can’t compare to the cute squirrel rendered at the pen of illustrator Kasia Nowowiejska. Just wait until you see! flowers when they tire of the acorn buffet. 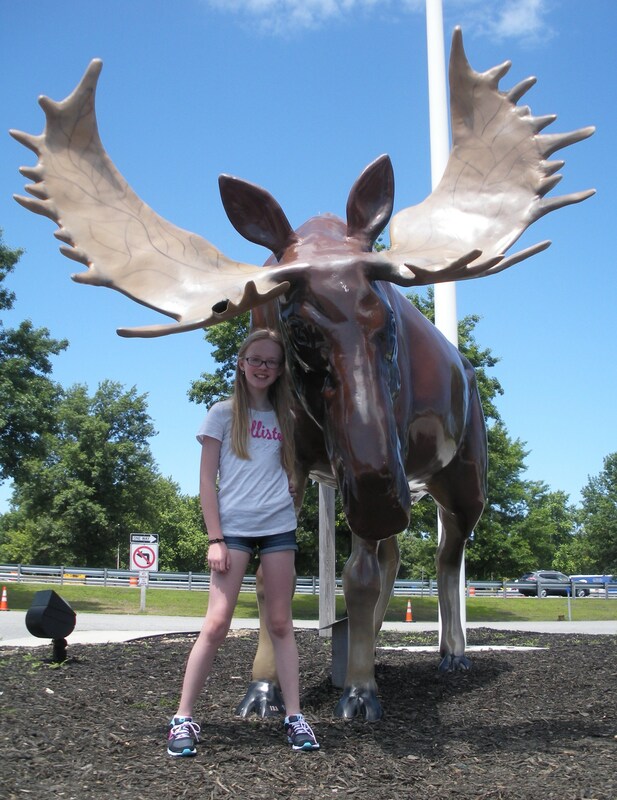 The other character in the book is a moose. Until I can officially share more details about When A Tree Grows, you’ll have to pen its official release date – April 2, 2019 – onto your calendars! In the meantime, I’ll be thinking about writing future picture books with s..l..o..w but still photogenic subjects. Stay tuned! This entry was posted in Uncategorized and tagged Kasia Nowowiejska, Moose, squirrel, Sterling Children's Books, When a Tree Grows. Bookmark the permalink. I have a love-hate relationship with squirrels but they always amuse me. 😀 I cannot wait for my sweet and talented friend Cathy’s book to come out! It will be awesome; I guarantee it! TY! I did snap a few in focus, but I agree that the blurs of motion capture their busy lives best! Cathy, I can’t wait to find out what antics your characters are up to. Look forward to reading your book. Thank you Robin! I look forward to sharing it with you and moose & squirrel fans everywhere! YAY! So happy to see it’s April 2 and not an April Fool’s joke. 😉 I want to get my hands on that book! I can’t wait for your book, Cathy! Congratulations!!!! Iza – so grateful for your long-standing cheers of support and encouragement. Thank you! Of course! I’m so happy for you. And I also love Kasia’s art (and not just because she’s a fellow Pole :-). Congratulations to you! Such good news. I will be looking for your book. I do love squirrels but, yes, they are quick! Zip! Zoom! Thank you Rosi! I hope April 2 will scurry along just as quickly. Ha! What a fun post. I envy your acorns. Not too many oak trees in my area. And squirrels are RARE. Thanks Tina! Did you know that squirrels were purposefully introduced to the east coast of the US in 1850’s as an entertaining addition to park life? Whoops! 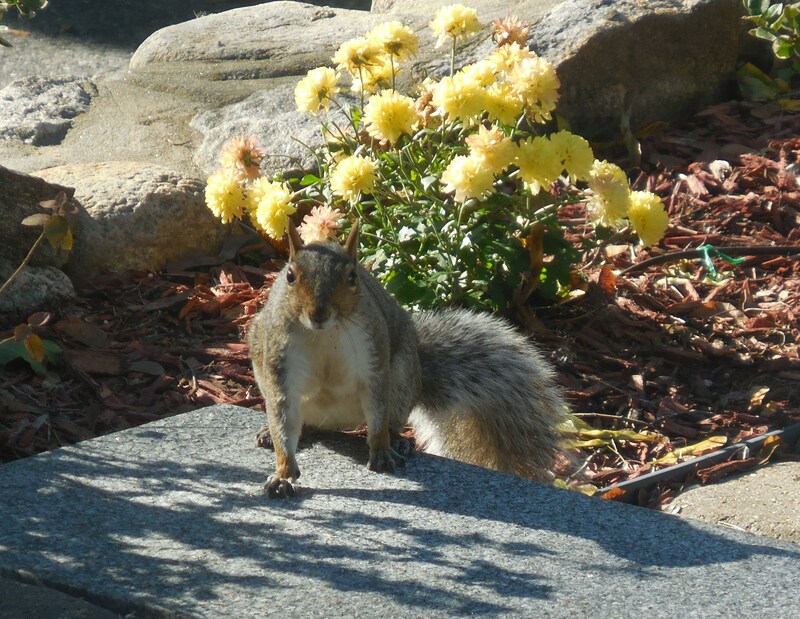 Our squirrels eat lots of maple seeds in addition to acorns. Fiiiiiiiinally! News about your book! And WOOOO! This is wonderful news! And, oh, how I love squirrels. I have one hang out outside of my kitchen window waiting for me to through out nuts. (Because *of course* I throw out nuts to squirrels.) 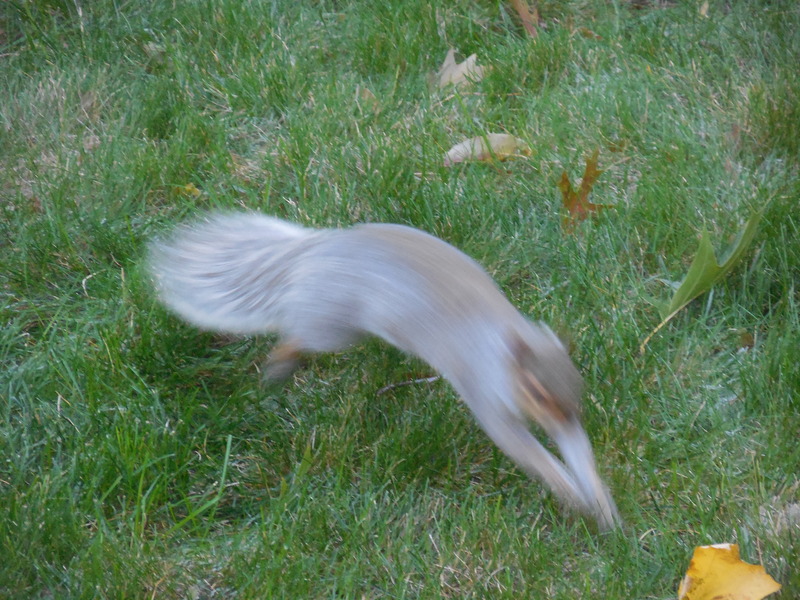 What makes him physically distinct from the other squirrels in my yard is an exaggerated curve in his spine. So I named him Squirreliosis. Tick, tick, tick…I should start a countdown! Thanks for your continuous encouragement and support Ronna! You might want to try the burst feature on an iPhone. It takes pictures so fast you’d be able to get one that’s not a blur. And yes, what Mike said: Throw out nuts, LOL. Looking forward to reading your book!!! Woohoo! I know squirrels can be hard to love sometimes – when they take all the birdseed or make a home in the attic. Maybe he will prefer the Moose character! Thanks for all your support and encouragement Pat. TY for the great idea and “chip chip hooray”! By the way, a hundred red squirrels here in the Balsamea woods are having a book release party for you. You should hear the racket! Yes – I thought that was a great episode of Nature! Especially the Alaskan ground squirrel that freezes in hibernation. Brr. The slow-motion film of jumping/landing physics was fascinating too. Thanks to the Balsamea chatterers for their support! Go nuts!